Smartasset Calculators: Make Your Life Easier For Free. That's right, good stuff that you can use for free from Smartasset. You're welcome. In all seriousness, I'm really excited about a company that I just started working with. This one is a win-win for EVERYONE involved. 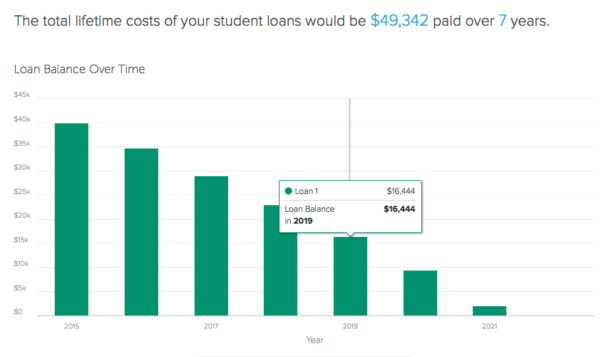 A few weeks ago I was talking with my wife about things that I want to do with MillennialMoneyMan.com, and how I needed to get some functional calculators that my readers can use to figure out how much their student loans would cost, mortgages, how much they need for retirement, etc. As you know, life is weird sometimes. I literally received a call the next morning from Smartasset about their calculators and how they could help my readers. If I cared less about money I would have bought a lottery ticket immediately. Let's jump right in on this one, because honestly it's pretty self-explanatory. Smartasset makes interactive online calculators that will start showing up in my blog posts. They give me a line of code to insert into the article, and a widget scans the article to find out what I'm rambling about. If I write “student loans” a few times, a handy student loan calculator will automatically show up for your use at the end of the article. I'll show you how ridiculously easy their calculators are to use shortly, but first I want to explain why it's important to use them. When I was paying off my student loans ($40,000 if I haven't said it before), I didn't really use any type of calculator. I basically made a lot of mistakes because I had ZERO guidance. For example: I thought that if I made a bunch of small payments, I would pay less in interest. I swear, if my dumb self can become debt free, you can too. You can scroll over individual bars to see the remaining balance by year! 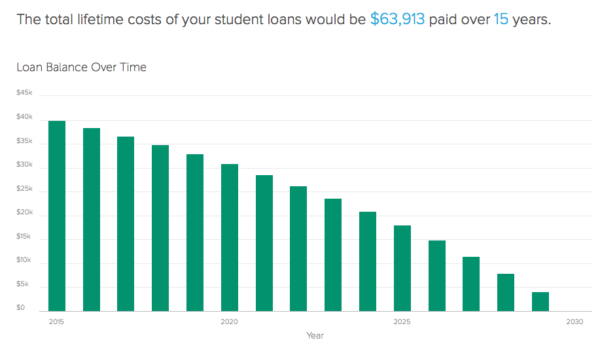 If you did what Smartasset's calculator shows here, you would cut down the total amount paid towards your student loans by $14,521 (yes I had to use a calculator to figure that out too), and would be debt free 8 YEARS SOONER. Please subscribe in the top right corner, and don’t forget to like my Facebook page and follow @GenYMoneyman on Twitter, Instagram, or Bloglovin! Just so you know, I am compensated by Smartasset through our affiliate agreement. I trust this company, and am happy to associate my name with theirs. They provide easy to use tools that can help streamline your finances and plan for your future. Also, they help keep the lights on at Millennial Money Man, which I appreciate. Looks like a great resource – I can’t wait to try it out! I usually do my own calculations for these types of analyses, but I love seeing what calculators have to say as well. Where do I go to sign up as an affiliate for smart asset? I’m very interested in trying it out on my blog. Thanks for the great article by the way.